"We were outside feeding our animals when a cow comes running across our field. And we don’t have cows." 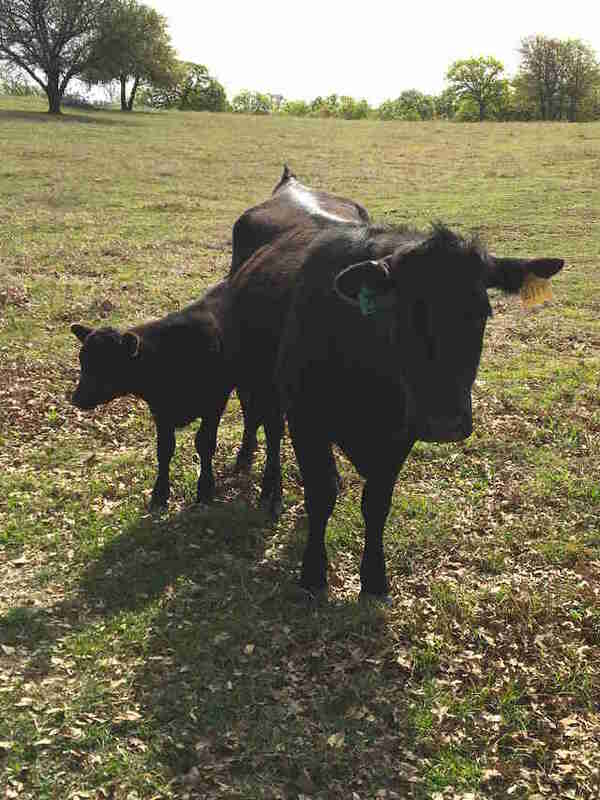 Update: In just a few hours after the story of this cow and her baby came out, Sycamore Tree Ranch raised enough money to keep them at the sanctuary for good. "We are so blown away by this incredible community that rallies together to save lives," the sanctuary wrote on Instagram. "It is because of your generous hearts that these two will get to spend the rest of their days together." 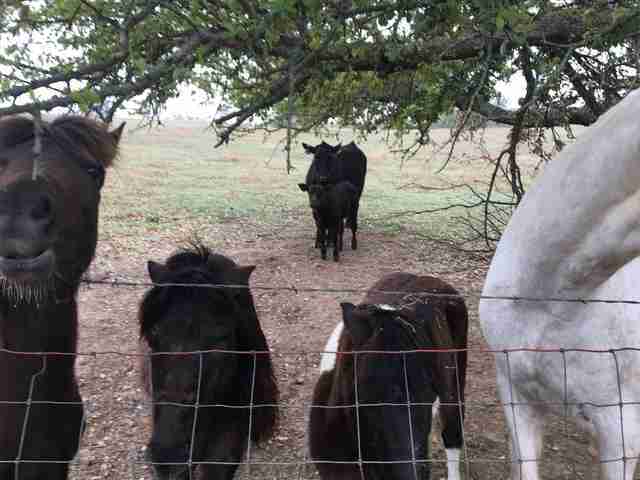 It was just a normal day at an animal sanctuary in Texas two weeks ago when something strange darted across the pasture. 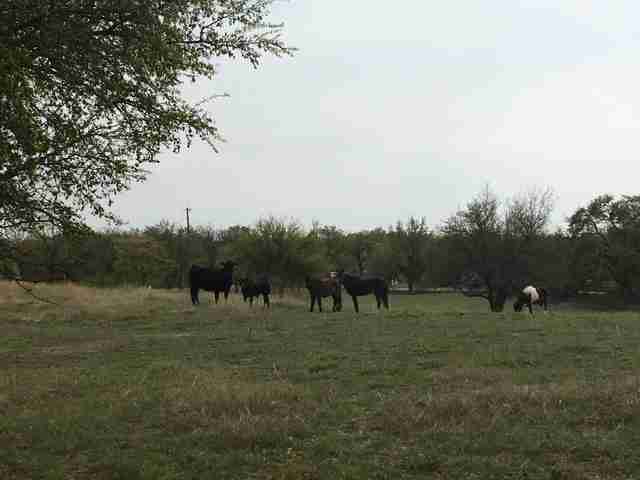 "We were outside feeding our animals when a cow comes running across our field," Koby Wegge, cofounder of Sycamore Tree Ranch in Springtown, told The Dodo. "And we don’t have cows." It turned out that this cow was on the run. A neighbor had recently bought her and her baby, but she was so scared when she arrived at his house, she darted away. People spent several hours chasing them — but the cow was determined to get away. 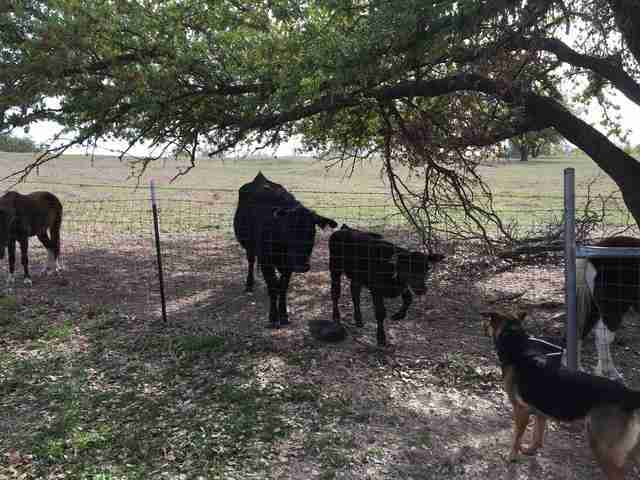 "She swam across a pond with her baby, ran through a forest for hours, until she ended up jumping our very high fence and getting into our pasture," Wegge said. The cow and her baby hid among the rescued horses and refused to let any people get close to them. 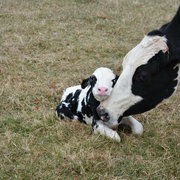 The little cow family has been in the animal sanctuary's pasture for a couple weeks now. And the owner has decided that the cow is just too wild to keep — but he wants his money's worth. He has sent for cowboys to wrangle the cow and her baby so he can sell them to slaughter. "On Friday, they are sending a team of roping cowboys to rope them and drag them into a trailer," Wegge said. "He will send them straight to slaughter because of how wild she is." Wegge is heartbroken at the idea that this cow, who has worked so hard to protect her baby, would end up in the worst place possible. Plus, Wegge was told that the cow is most likely pregnant with another baby. "He paid $1,600 for both of them and he wants his money back. But we can’t afford to pay that," Wegge said. Wegge is trying to get the story of this wild cow out there so the sanctuary might have a chance of saving her — but she has just two days until the cowboys come. Wegge has already earned some of the wild cow's trust. "She jumped into an animal sanctuary and is so content here with her baby," Wegge said. "She will almost come and eat out of my hand, after nearly two weeks of hiding in the trees." You can make a donation to help save this little family.